Automatically fetch the latest data from the Front API and build valuable reports. Do all of this in minutes in a drag-and-drop interface, no developer resources required. Pull all of your data from Front with just a few clicks, no coding required. Pull key metrics like response time, conversations per day, customers helped, and more. 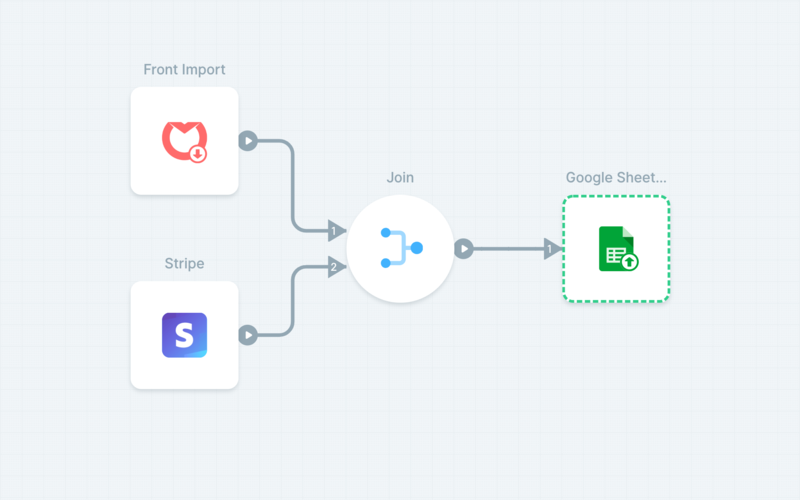 Build custom data flows that utilize your Front data in a drag-and-drop interface. Combine multiple data sources to build custom reports that encompass the bigger picture. 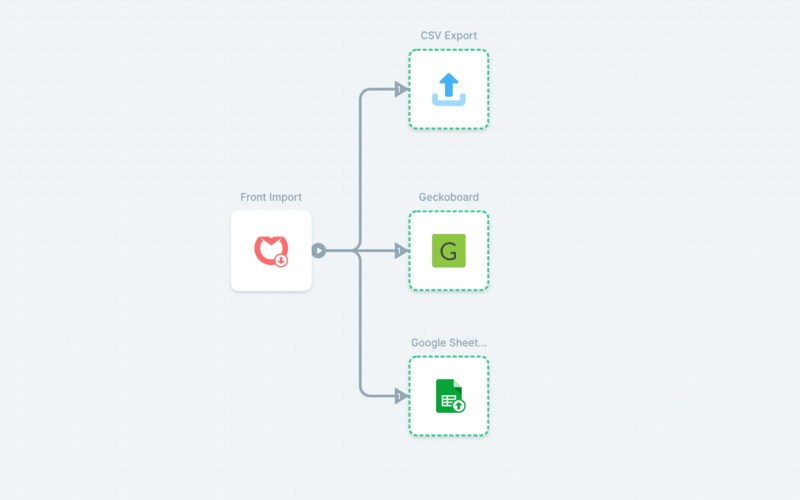 Export your Front data to cloud storage providers, dashboards, email, and much more. Every time you run your flow, your data will be pushed to your flow’s destinations automatically. Need a report generated every day? 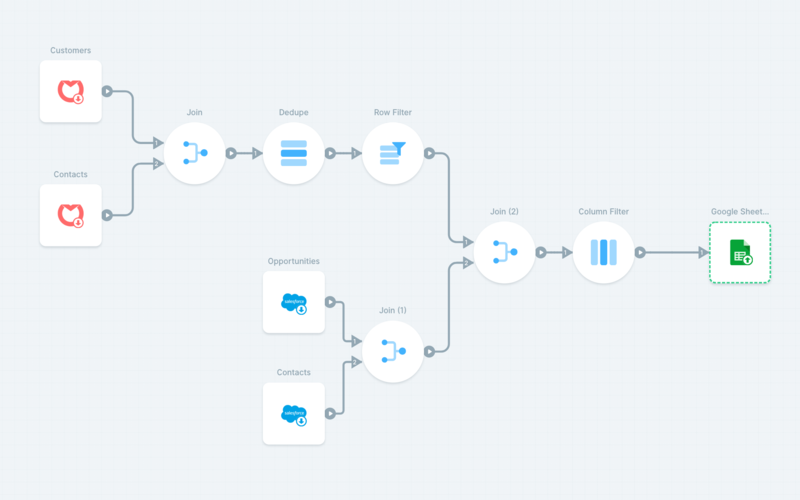 Add a schedule to your flow to have it automatically run in the cloud. You’ll receive an email when the flow finishes running with a summary of what happened. Pull performance metrics from Front across any number of teams to create a dashboard showing overall performance.